At Griffith Animal Hospital we know how stressful and difficult it can be having an unwell pet. This is why we are fully equipped with a range of in-house pathology services to provide you with (most) pathology results within minutes, and can start treating your loved one sooner. 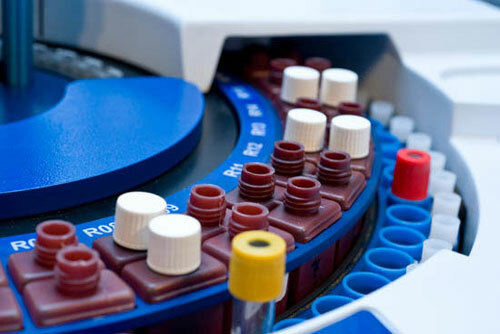 We are able to run a large variety of tests right here on-site including blood chemistries, complete blood counts, blood clotting times, urine testing, faecal tests, blood-gas analysis, snake venom detection tests and more. In addition, we offer Feline Aids and Leukemia virus testing on-site. Occassionally, we may recommend more specialised testing at an external veterinary laboratory or for histopathology (biopsies), which may mean results take a little longer (up to 14 days).